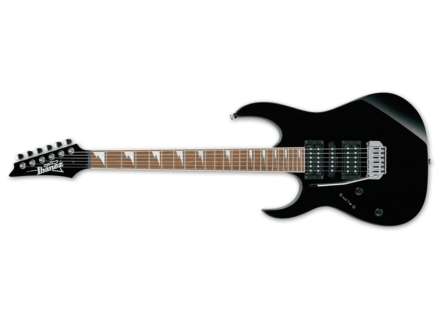 GRG170DXL, Left-Handed Electric Guitar from Ibanez in the GIO RG series. Vundaboy's review (This content has been automatically translated from French)" Not bad not bad"
The handle is nice even though slightly wider. Sound level nothing complicated, one branch, we play. 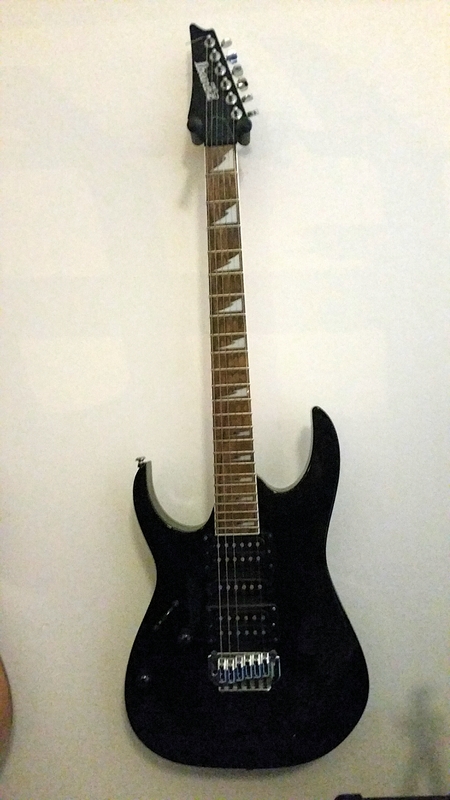 I play mostly metal but with phases of clean so the Ibanez for me. The sound is surprisingly good. 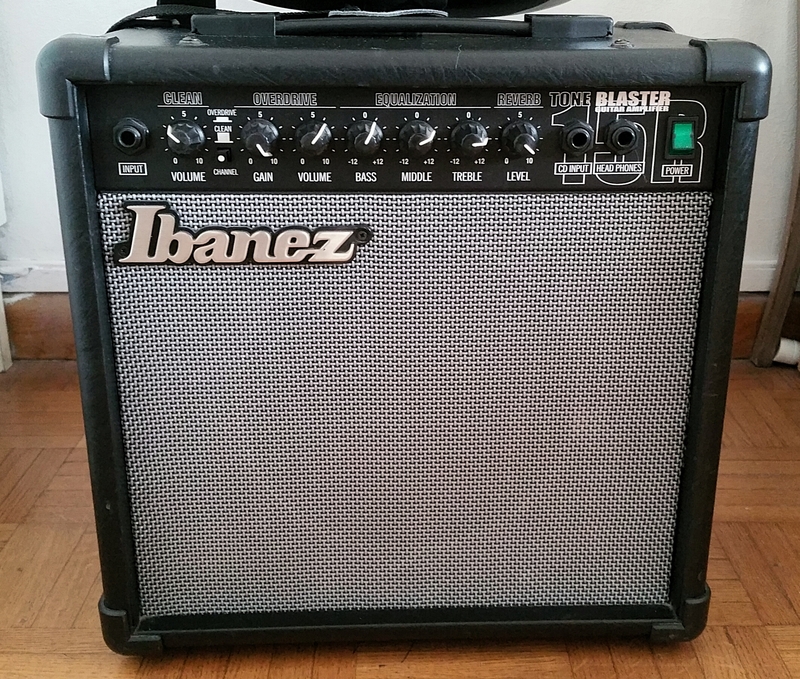 The cleans are a bit withdrawals but otherwise the price for this guitar sounds good. However distortion simple micro and micro sleeves = unusable so it is lifeless. I have this guitar for a few months now. I had many like strat and lp like. 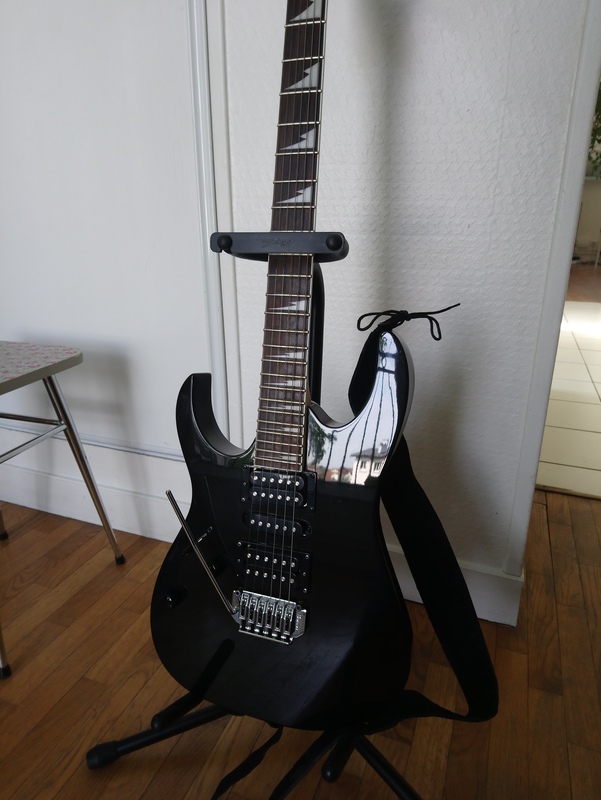 This guitar is really well to start, but it's still a good guitar sold new € 200 I believe. A friend stopping guitar simply gave me this guitar so I did not pay, but with experience, I would not buy this guitar because it is still the low end. As against the difference is not sufficiently flagrant between the different micro so plan a chage of micro to really have a range of different sound. I redeemed without a doubt this guitar if it again, as much for its sound quality and technical (very good for an entry-level), for its looks very simpa. A very good first guitar. 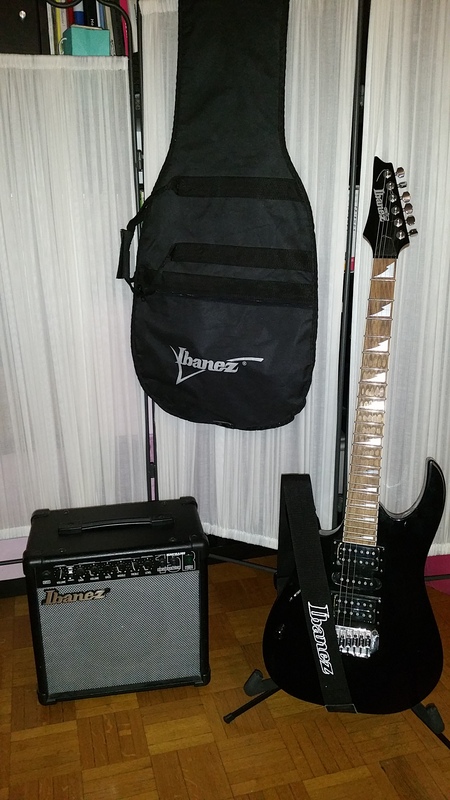 The neck is thin enough, the handle is ibanez! Channel ultra comfortable, access to acute is perfect! the shape is nice, it does not hurt, the weight is suitable. I play with a marshall MG30 .. The sound was ok .. Now I play with a Peavey 5150 but I changed the pickups. I use it for 2 years, it's a good guitar started, I changed the pickups for more potatoes! It is a great value! I advice to all who want to start!